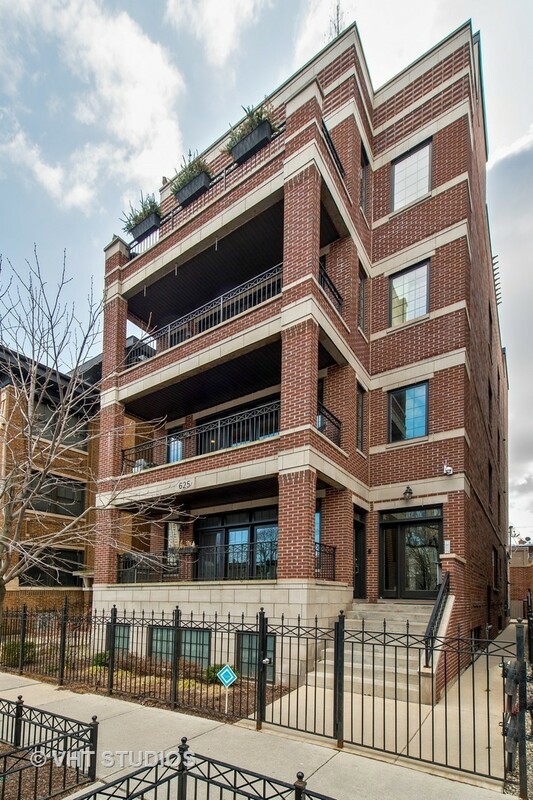 Beautiful 2000 square foot floor unit w/ great floor plan. This Sunny and open 3 bed/2 bath is built w every upgrade...wide plank, quarter sawn oak firs, heirloom caliber wainscoting + trim, solid doors, prof org closets + storage; Bose entertainment system, gas frplc. Chef's kitchen, massive island w/wine fridge, Subzero with dual freezer, 6 burner Wolf range w/pot filler + prof grade hood. Master suite w/walk-out terrace, walk-in closet, spa marble bath w air-jet tub, steam shower w/dual heads, body sprays, bench; double furniture-grade vanity. Large laundry/mud room w/full-sized front-loading W/D, Heated garage pkg Included. PLUS Add'l storage. Excellent building. Nettlehorst School. Property information last modified by seller on Friday, June 01, 2018, 03:50 PM CDT. Information Deemed Reliable But Not Guaranteed. Unauthorized duplication, use, or linkage is prohibited. The information on this web site is for personal, non-commercial use and may not be used for any purpose other than to identify prospective properties consumers may be interested in purchasing. Monthly Payment Calculator results are for illustrative purposes only, not a financing opportunity; calculations assume a 30-year fixed-rate mortgage and do not include closing and other costs. Property Tax on NEW properties is estimated at 1.5% of Listing Price for payment calculation purposes; actual value may be higher or lower.